The 12" Gen16 Buffed Bronze Splash Cymbal from Zildjian is a reduced volume acoustic cymbal that provides up to a 70% reduction in SPL in comparison to a similarly-sized splash cymbal thanks to its pattern of holes. It is designed to produce a warmer tone than a standard nickel-plated cymbal. 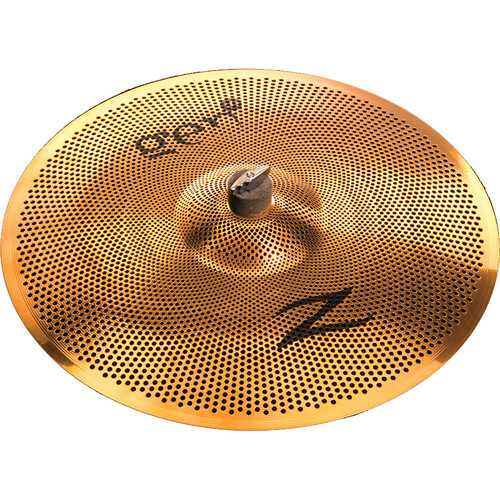 While it is an acoustic cymbal, it can be integrated into Zildjian's Gen16 electronic system for use with an E-drum kit. Box Dimensions (LxWxH) 15.4 x 15.4 x 2.1"